National Security Adviser John Bolton has reportedly said that Washington is prepared to take strong military action against Syria if Damascus uses chemical weapons. According to Bloomberg’s anonymous sources, at a Thursday meeting in Geneva Bolton told Russian Secretary of the Security Council Nikolai Patrushev that America is prepared to respond with greater force than it has used in Syria before. The information came after US officials claimed they possess information that Assad might be planning a chemical weapons attack in the northwestern province of Idlib, people familiar with the discussions say. President Trump has ordered two strikes on Syria before, following similar circumstances and said that Assad must be punished for the alleged use of chemical weapons. 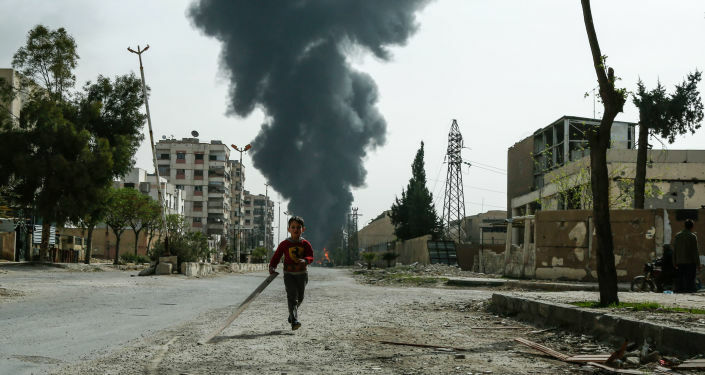 The first air strike was conducted in April 2017, with the US reacting to allegations of the usage of chemical weapons by the Syrian government. President Assad denied all the allegations, letting UN experts analyze the incident. Another airstrike coordinated by the US, UK, and France occurred in April 2018 after another alleged incident of chemical weapons being used was reported by the “White Helmets” humanitarian group, funded by US, UK and several other western governments. Bloomberg’s sources claim that unlike previous, “largely symbolic” attacks, Bolton’s warning was more specific and refers to the concrete campaign in Idlib. This is the last province in the country held by multiple anti-government militant groups, including the al-Nusra Front* terror group. US officials reportedly haven't confirmed the information provided by Bloomberg. *Al-Nusra Front and Daesh (ISIS/IS/ISIL) are terrorist organizations banned in US, Russia and many other countries.